We sat down with the weird & colourful work of Humble Writerz, to hear what he’s about, the artwork he creates and the various clothing and accessories he sells. Hi, I'm Mark Finn, I am an illustrator, painter and skater based in Dublin and Wicklow depending on the day. I draw weird creatures and bits and bobs that I think are rad. I got into doing all this through a friend in primary school. He showed me the ropes of graffiti and then through skateboarding and cycling into it and it all kinda came together and started working itself out. After that my style kinda came from a mixture of a European style of graffiti and I guess skate culture and a lot of doodling. Who influences you or is this your own style of drawing? em…That’s a tough one. There is a hell of a lot of artists I look up to a lot, but with the amount of art I see threw Instagram these days, it’s hard to pin point one crew or person who really inspires me the most. I kinda love everyone’s drawings these days, there so much rad stuff getting drawn or painted everyday. Other than that, I guess the person that inspires me the most is Dan Leo, he is the king. Why did you decide to start your own shop? The shop came from making a t-shirt in 2012 with a friend Fran and we sold them in the skatepark and after that, every couple of years I would do a t-shirt run, as my pages grew I started looking into finding a distributor to produce my clothes. A good friend Ste, from BPB Clothing helped me out with that and I just think it’s fun seeing stuff on clothes so that got me pumped. Are you more into the fashion side or art side? I like to think I’m more into the art side and that the fashion side is just to help with getting an income for making more paintings. I try not to draw pictures to put onto clothes, it just sometimes works out that they would fit well on a t-shirt or jumper. 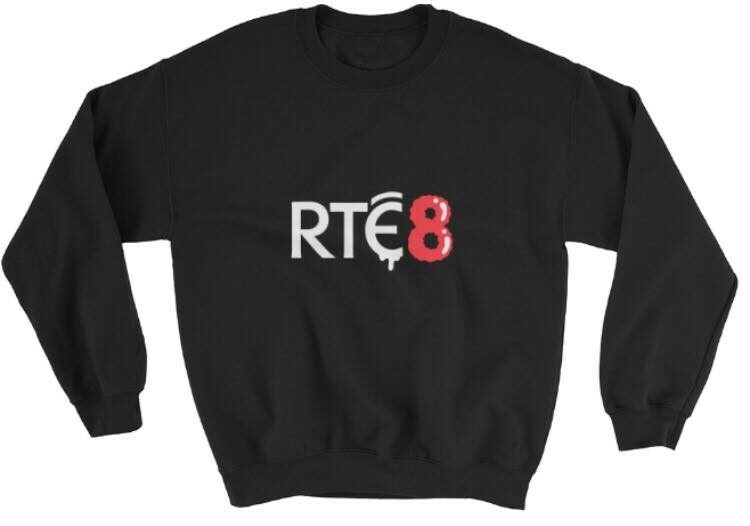 On the other side, I’ve done some designs for clothing like the repeal jumpers and also the Gucci t-shirt, which has been shown on shows such as Kyra TV, PAQ Series. I really enjoyed doing the repeal jumpers, it was so sick to see so many people wear them and message me about them and to just be involved in something as big as the repeal movement. My plan for the future? I've nothing written in stone yet. I've a documentary I'm working on that I can't wait to show everyone. I've some cool jobs coming up from painting breweries to painting street spots for people. Really looking forward to filming them and trying to make a bigger body of work from them. Other than all that, I hope to take over the world with my illustrations and turn this into my full-time job and life. I decided recently it’s time to go for it, throw all my screws in the one pot and Really just push and push to make this my full-time job as a freelancer. If you like Mark’s work, head over to his Instagram and have a look at some of his other works, and if you are interested in buying some of his Merch, head to his website.